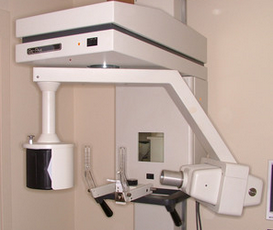 The Gendex GX-Pan has been one of the most popular Gendex panoramic x-ray machine for decades - and for good reason. Its solid construction and reliable performance have made it an imaging fundation for thousands of dental practices. Many things have changed since the Gendex GX-Pan was designed. Direct digital technology has become the industry standard for dental panorex machines. These digital panoramic x-ray systems do not require cumbersome dark rooms, costly film x-rays, nor harmful chemicals, resulting in a more efficient and win-win solution for your practice, your patients, and your staff. The first step in this process is to evaluate your practice imaging needs. Modern digital panorex are capable of offering not only a standard panoramic x-ray view, but also to acquire optimal pediatric panoramic x-rays, extraoral bitewing views, cephalometric projections, and even Cone Beam Computed Tomography (CBCT) scans, also known as dental 3D scans. How do you choose among all these options? It is important to focus on your practice needs. Specifically, you want to identify the procedures you are performing today and anticipate the treatments your practice will likely offer in the near future. Do you see your practice on a path to growth? Are you offering more and more specialized treatments like implant placements, endodontic treatments, and orthodontics? The answers to these questions can help you make a more informed decision on the dental imaging capabilities that your next digital panorex should be able to provide. There are several digital panoramic options in the market, but which one is right for you and your practice? Once you have a clear understanding of your existing and future clinical needs, the next step is to explore available machines to meet those needs. One caveat is understanding your position with respect to 3D imaging, or the potential to upgrade to 3D in the future. In fact, while your office might not be in a position to benefit from 3D imaging today, you may want to choose a digital panorex that can be easily and effectively upgraded to Cone Beam 3D at a later date. Trying to anticipate your practice's future needs is a smart thing to do, but when you add extra imaging capabilities to your panoramic system, your initial investment also goes up. However, going with the cheapest panorex for sale or the panoramic x-ray on promotion at the moment might not be the right choice for your practice if it is not upgradeable to meet your growing needs. Therefore it is critical to understand the real cost of a digital panorex, and the price you can afford. Here are Simple Return On Investment (ROI) Calcutators you can use to better understand the economics of your investment. If you are trying to determine the best options to upgrade your GX-Pan panorex, you are not the only one. Several offices have already upgraded to digital technology or are in the process of doing so. Consulting with peers will allow you to gather helpful insights and learn how other professionals have succesfully gone digital.